China ZFJ SERIES CHINESE HERBAL MEDICINE PULVERIZER -Jiangyin Xinda Medicine And Chemical Machinery Co.,ltd. 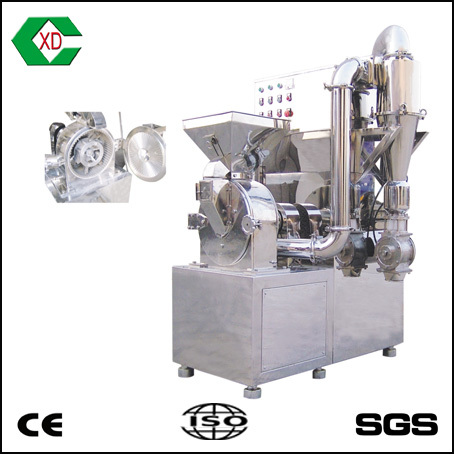 The machine is applied in industries such as pharmaceutics, foodstuff, chemicals and etc, with features of cool air and no sieve or screen. It is not limited by the viscosity, hardness, softness or fiber shape of the raw materials, and has good effect to all materials, especially to those Chinese herbal medicines with fibers and those with oils.